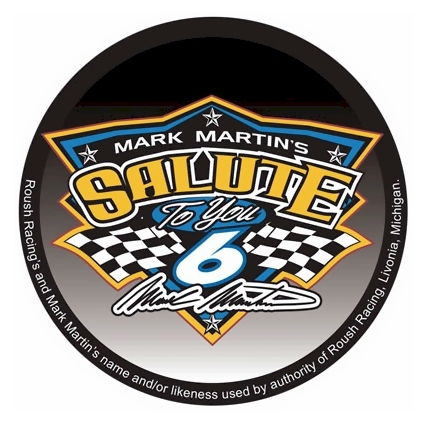 Officially licensed Mark Martin NASCAR 3" round decal. Officially licensed plastic license plate frame. 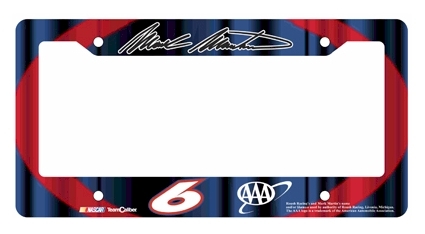 #6 Mark Martin / Plastic License Plate Frame, by WinCraft. Officially licensed plastic NASCAR license plate frame, usable as a fan decoration on the outside of a standard car license plate. The frame is molded in durable plastic and is designed around the California standards for tab and sticker clearance. Made in USA.